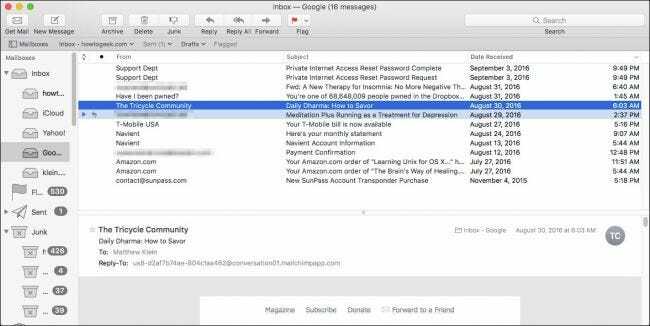 If you use Apple Mail, you may have noticed you can swipe messages to perform certain actions. It’s a useful shortcut, but if you find yourself invoking it accidentally, here’s how to turn this feature off. We’re not strangers to configuring Apple Mail to better suit our purposes. We’ve talked about how to create and modify signatures and append them to the end of your e-mails, how to turn off event and contact suggestions, and even shown you ways to better manage your inbox with rules. But message swiping might be one of those features you might have thought you were stuck with because there’s no obvious way to turn it off, let alone change what it does. Message swiping works exactly like it sounds. If you want to delete a message, you can swipe left on your trackpad. If you want to mark a message as unread, you simply swipe right. 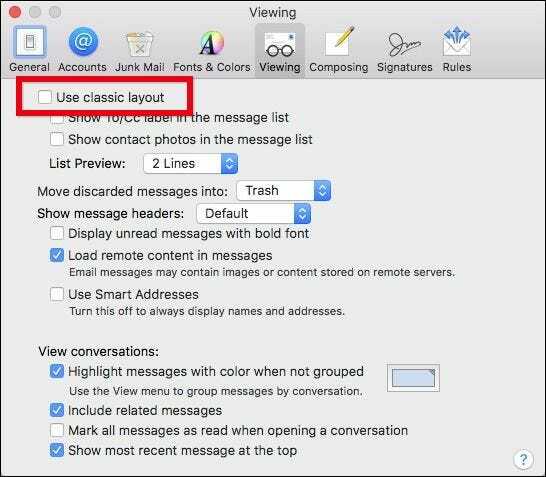 This may appeal to many users, but others may miss the older, “classic” layout that Apple Mail used to sport. Or maybe you don’t have a trackpad, and swiping is impractical. No worries, it’s quite easy to enable the old interface and disable message swiping in the process. 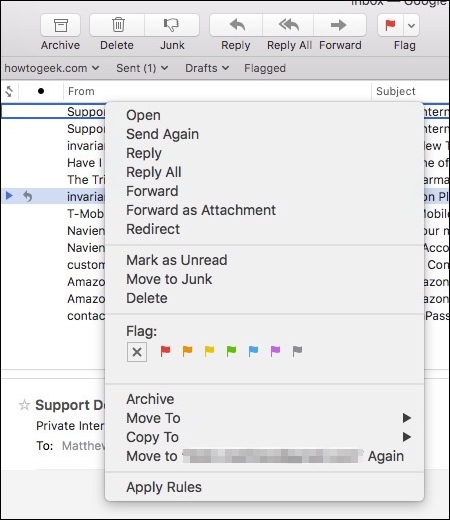 Start by opening Apple Mail’s preferences by clicking on the Mail menu and clicking “Preferences” or pressing Command+, on your keyboard. With the Preferences open, click the Viewing tab and note the section at the very top that says “Use classic layout”. When you check this box, you see your Mail inbox is transformed to Apple Mail’s so-called classic look. Now, instead of swiping to affect message as we described earlier, you can use the right-click context menu. Another option is to customize the toolbar, adding the the unread/read buttons and any others you deem necessary. To do this, simply right-click on the toolbar and select “Customize”. Then drag whatever button or buttons you need into the position you want them. And, as easily as that, you have managed to disable message swiping without losing the ease of its functionality. Unfortunately, for anyone who does like the message swiping feature, there’s no way to change its actions. It might be nice to be able to swipe to reply or flag a message, but as of now, it’s only the two: delete and mark as unread. Hopefully in some future release, Apple will add more power to it, but at least in the meantime, you can disable it.